Special sales on brand-new clothing starting at $5! You are here: Home / YWCA Montreal / Fringues thrift boutique / Special sales on brand-new clothing starting at $5! Fringues thrift-boutique offers a special sale on brand-new women clothing! These very June 1st & 2nd 2017, a bunch of selected items will be sold from $5. What a great deal when it comes to renew the wardrobe with a summer collection. Don’t miss it! It’s the kind of deal that drives us crazy, isn’t it?! 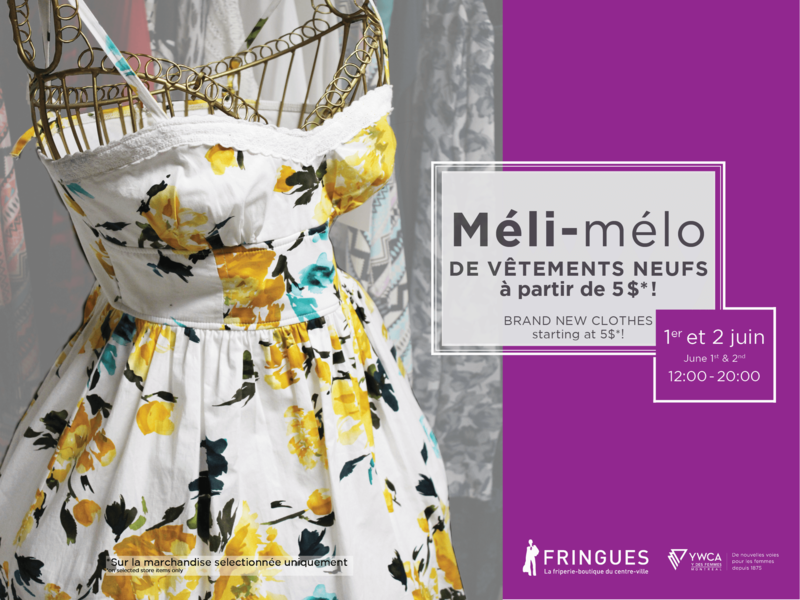 We are waiting for you at Fringues Friperie!